AV over IP — the process of sending audiovisual signals over computer networks — has challenged AV integrators to change their approach. By relying on standardized network hardware and software, AV over IP renders integrators’ specialized knowledge of proprietary AV tools obsolete. Plus, because AV over IP operates on computer networks, it has reduced the time and cost of installation, leading to lower bids presented by integrators for projects. 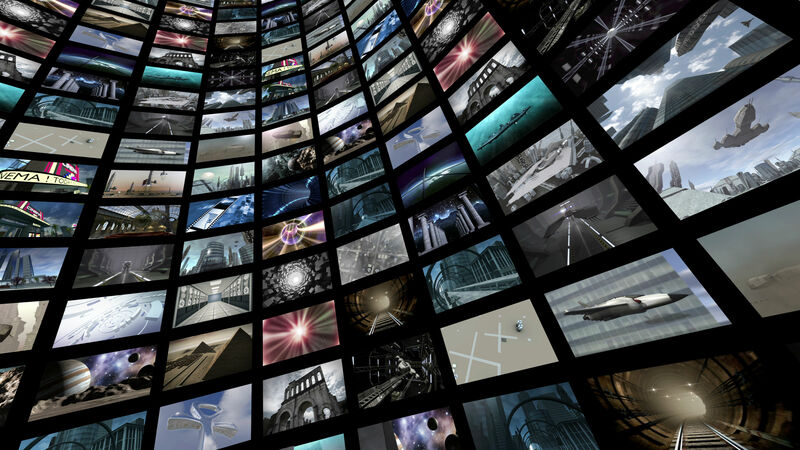 Despite these challenges, integrators are embracing AV over IP at an astonishing rate. They see how the benefits of the technology outweigh the challenges, and they’re eager to bring these benefits to the businesses they serve. Here’s why integrators are enthusiastic about AV over IP — and why businesses should be, too. Before the days of AV over IP, audiovisual equipment “communicated” by means of a matrix switch — a box or rack that contained a microprocessor to encode and decode various signals, so that audio and video information could be displayed on the various components of the build. Matrix switches were bulky. They generated a lot of heat. And each piece of equipment attached to them required its own proprietary cable, or even a custom connector welded in place. For integrators, the matrix switch world required an encyclopedic knowledge of AV system equipment, connectors, cables and switches. For businesses, it meant that the cost of each piece had to be factored into every AV build. AV over IP has turned this world on its head. 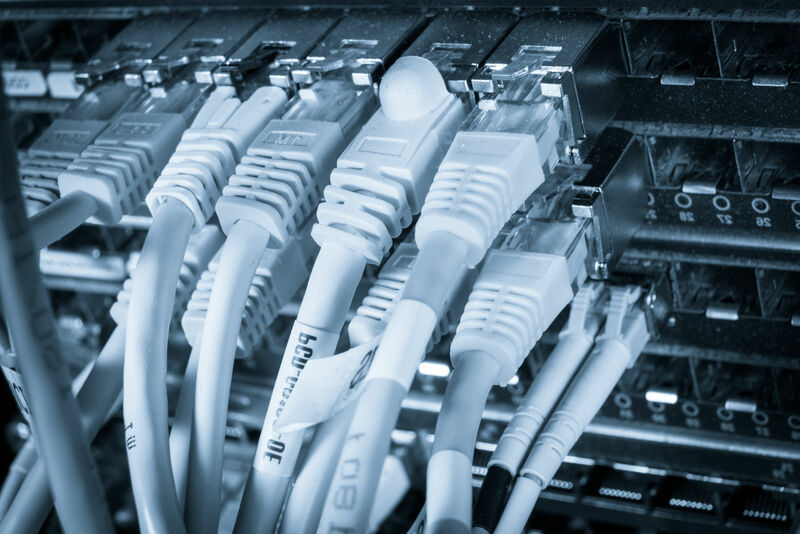 Today, integrators rely increasingly on their knowledge of Ethernet and internet cables and connectors, like CAT-5, CAT-6 and fiber optics. Instead of recalling specifications for dozens or even hundreds of parts, integrators can focus on optimizing the use of more standardized hardware and software. AV over IP isn’t totally standardized. Competing equipment and protocols exist, like the ongoing war between HDBaseT-IP and SDVoE. But it’s easier to build a high-quality system that communicates seamlessly with its components. No wonder industry leaders like SDVoE Alliance president Justin Kennington have already proclaimed the death of the matrix switch. One of the biggest challenges the matrix switch era faced was distance. Restrictions imposed by cable lengths and signal degradation often forced switches and other equipment to be placed a minimum distance from the AV equipment. Installing equipment meant accepting these limits, remodeling a building, or both. AV signals sent over computer networks face distance limitations as well, but the tools to overcome them are much easier to come by. Video and audio sent over IP can be “repackaged” at strategically-placed switches, allowing it to travel long distances without losing quality, according to Technology for Worship. Tools like HDMI switches from Just Add Power or Tripp-Lite, when built into an AV over IP system, allow signals to travel as far as they need to. These switches make it easier to scale an AV over IP build as a business grows. 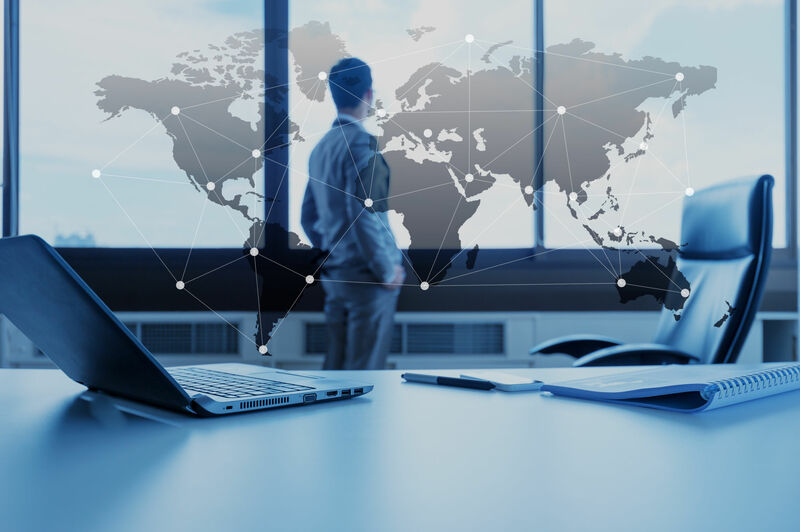 New matrix switches no longer need to be built in at strategic points; instead, a combination of switching hardware and software can allow any point on the AV network to communicate effectively with any other point. Tools like HDBaseT-IP and SDVoE even allow AV signals to travel from one building to another on large campuses, CE Pro editor Jason Knott writes at Commercial Integrator. And all these signals can be controlled from a centralized control unit or from any point on the network, depending on users’ needs. What do you get when you replace a clunky, constrictive system built of specialized components with one that plugs into existing networks, connecting a wide range of devices through standardized hardware and software? You get more transparent pricing — and more value for your dollar. AV over IP cuts down on the per-hour cost of running cables and setting up equipment. It helps reduce the per-unit cost of those cables and equipment, since the building’s existing Ethernet can often support the new build without adding more cables or proprietary connectors and switches. And the ability to swap out parts to increase signal quality as the business grows, rather than rebuilding entirely, can reduce long-term costs as well, according to Atlona. There are, of course, still costs involved. Upgrading to a digital AV over IP system, or having one installed in a new building, requires integrator attention, equipment and time. But the result is a more future-compatible, flexible system. Integrators have embraced AV over IP’s flexibility and efficiency to create customized solutions for clients across industries. Here are just a few examples of outstanding projects by integrators proud of their work with these cutting-edge technologies. Bazaarvoice’s headquarters in Austin needed a way to communicate with visitors in its main lobby. And the company wanted a statement piece as well: something to grab visitors’ attention and immediately set the tone for the company’s vision and brand. The result? A 3×3 HD video wall, installed by Felix Media Solutions. The video wall provides crystal-clear HD images, which range from stunning artwork to information for visitors and employees. The LG displays mount seamlessly, while the use of the building’s existing Ethernet allows for lagless video transmission from a hidden display. Founded in the 1960s, the Washington Department of Transportation’s Traffic Management Center was tasked with monitoring conditions on the state’s roads and intervening when necessary. By 2015, the Center managed 750 roadway cameras and needed a space that could handle the extraordinary quantity of data and displays required to use the information those cameras collected. Enter Peerless AV. Facing the need for maximum flexibility on a constrained budget, the integrator chose a video wall constructed of individual monitors, each of which could be used to view a different camera feed. AV over IP switches and other tools allowed Peerless to take advantage of the department’s existing Ethernet infrastructure, reducing the inconvenience and costs associated with a complete teardown and rebuild. Ninety monitors, several different mount types, and eleven power connections later, the Washington Department of Transportation is on top of its camera feeds — and Peerless is the winner of a 2017 Integration Award for the project, courtesy of Commercial Integrator. Nothing is more frustrating for a teacher than resources that don’t work when they’re needed – and AV equipment that lags or refuses to display images properly lands among a teacher’s top frustrations. To enhance learning at the Drew Charter Schools, Unified AV Systems partnered with SMART Technology to install interactive flat-panel monitors in school classrooms. When combined with in-classroom computer and mobile technology, the interactive boards allow students to work together, share notes and even access prior lessons executed on the same system. Attention to detail in the installation of the interactive boards and other equipment helps reduce problems with loading, lag time or equipment “on the fritz” — and its connection to the school’s Ethernet allows IT staff to address AV issues more easily. Once the entry point for millions of immigrants seeking to build a new life in the United States, Ellis Island today serves as a museum and educational center. For decades, the island’s museum staff have relied on AV tools to help visitors connect with the nation’s history and their own past. In the 1990s, Ellis Island began showing a short film, “Island of Hope, Island of Tears,” introducing visitors to the island’s history. Originally shot on 35mm film, the movie was upgraded to HD in the early 2000s. The equipment on which the film is displayed recently received an upgrade as well. Today, Ellis Island’s Theater One is equipped with digital 1080HD capabilities, combined with three-channel audio, bringing “Island of Hope, Island of Tears” to life. The entire system is controlled through Kramer AV’s “K-Touch,” which directs inputs from multiple displays, players and audio systems. Via K-Touch, employees at the National Park Service can create a seamless experience in Theater One for visitors, enhancing their education and their enjoyment of Ellis Island.